Please note: this post is an ongoing post. You can comment this and we’ll add your suggestions in the list. The list includes solutions for all budgets. Film Photography is still alive. There are a lot of young people who are buying and using old analog. This is another kind of Photography, more meditative maybe, even though we know that always depends on the approach of each photographer. Maybe a day someone will start again to produce analog cameras, maybe not. Because there is no flipping mirror, lenses can be designed without having to keep the back of the lens far enough away from the image plane to avoid getting hit by the mirror. For wide-angle lenses, allowing lens designers to make lenses whose rear elements can come very close to the image plane lets wide-angle rangefinder lenses be much smaller, sharper and have less distortion than SLR lenses. Because there is no flipping mirror, there is much less vibration to blur hand-held images. At speeds of around 1/30 – 1/8, the flipping mirrors of SLRs often blur shots made from tripods unless a mirror lock-up is used. Rangefinder cameras have far more precise focusing for wide and normal lenses. Rangefinders do without the extra weight of prisms, focus screens and flipping reflex mirrors. As shown at the top, wide and normal rangefinder lenses are often tiny because they don’t need to be designed to clear a flipping mirror. It’s easy to get wide, ultra-wide and ultra-ultra wide lenses for rangefinder cameras. It’s trivial to get lenses as wide as 12mm on full-frame, with little to no distortion. Even the cheapest wide rangefinder lenses, like the Voigtländers, are usually excellent, while the very best wide zoom SLR lenses like Canon’s newest 16-35mm f/2.8 L II and Nikon’s 17-35mm f/2.8 AF-S are only mediocre by comparison. There are no mirrors flipping up and down for each and every shot. With a rangefinder, all you hear is the quiet click of just the shutter. As SLR mirrors flip up to take a picture, their viewfinders go black at the most important instant: the instant at which an image is recorded forever. Rangefinder camera viewfinders never black out, so you always know the subject’s expression as it’s recorded, especially with flash. When making long exposures, you can see through the viewfinder the whole time. If you have a life-size finder, as on the Nikon SP and almost on the Leica M3, you can focus, compose and shoot with both eyes, since the rest of the camera doesn’t cover your left eye. With other cameras, you sometimes can get eyepiece magnifiers, or try it anyway if the finder reduces. On Leica with the 135mm f/2.8 ELMARIT, the built-in magnifier gives life-size images with the 0.72x cameras, which is most Leicas since 1980. With a rangefinder, press the button, and it goes. You’ve captured the peak of the moment, forever. With an SLR, the mirror has to get out of the way before the shutter can open. By the time the SLR mirror gets out of the way, your decisive moment is gone. Is there any wonder that the masters, Salgado (Leica), Ansel Adams (Contax) and Cartier-Bresson (Leica) shoot or shot only rangefinder 35mm cameras, not SLRs? So long as there is enough light to see, you can focus a rangefinder camera immediately and without needing any annoying AF assist lights. Just flip the focus until the two images merge, and voila!, perfect focus. With my D3, I have to guess and focus manually by trial and error when the light gets too dim. With rangefinder cameras, it’s never too dim. Personally i love a rangefinder camera also for the small size of the lenses, having an exceptional quality because the construction of the optics is completely different. And naturally because i like view through an optic viewfinder and not see what the lens sees. With an optic viewfinder you can benefit by the peripheral vision. That said, i would say that also an SLR could be a great choice for Street Photography, certainly better than a DSLR. 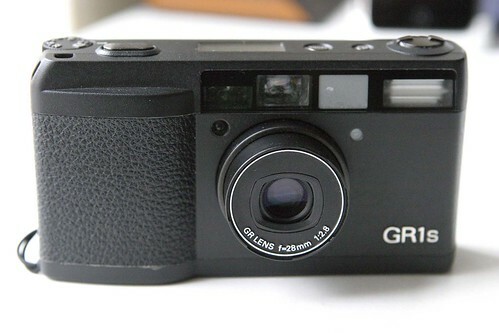 Also a high quality pocket camera can also nicely do the job, for example Ricoh GR1s. No, they don’t have interchangeable or high speed lenses, but a quality f/2.8 28mm or 35mm lens along with ISO 400 film can do a quite credible job. Please, feel free to complete this list as much as possible. >I find the Konica C35 a good one also. Fixed 38mm f/2.8 lens, ISO 100-400, RF focusing with Auto Exposure only. BUT, the nice thing, it has a 38mm, not a 45mm as most 35mm RF Compacts. and the lens is REALLY SHARP! it can bought for under $50.00 in many countries. >It's simple. With a SLR you don't hide your face completly like with a DSLR. Whan you use a DSLR in Street Phootgraphy if you don't use shoot from the hip look like a "black elephant". It's clear, this is only a personal consideration. >I'm gonna add this. Thank you. >For sure…the best camera is the one that fits for you. This is not a table of laws. But we want offer a "catalog" of analog cameras. >And i would say also that you can make great street photography with cheap cameras for 10 or 20 dollars. >The smaller the better for me personally, Sure I shoot some things with my d300s but I wouldn't consider that my preferable way to make a street photograph. I like to pack light, and avoid being a target for people on the look out for nice cameras. >I would suggest to add a Ricoh GRD III or IV to the list. Though I have not used one but love to buy one. The 28mm wide lens is great for street and so is the snap feature. >Ehm…we are talkin' 'bout analogic cameras here. >I've used loads of analogue cameras for street, there was a time in the 80's when a fixed prime was very much the norm, often wide-ish and fast. You can pick up the Pentax pc35-af for about £5.00. 35mm, 2.8, quick zone focus… not well regarded or cult, but very capable of great results. There are loads of 'junk shop' cameras out there, looking for love, most manufacturers offered something from the high to the low. >Thank you Brandon for the advices. Really precious, man. Please if you wanna make a list of cheap analog solutions, you're welcome! Yashica T series. My preference is the T3, the T4 gets a premium price. 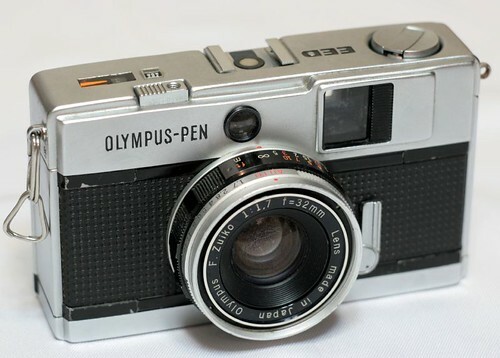 Olympus Mju ii. The only camera I always have. 35mm, Sharp, quick, great with 400iso. The real bonus is it's weatherproof, I mean you can drench it. 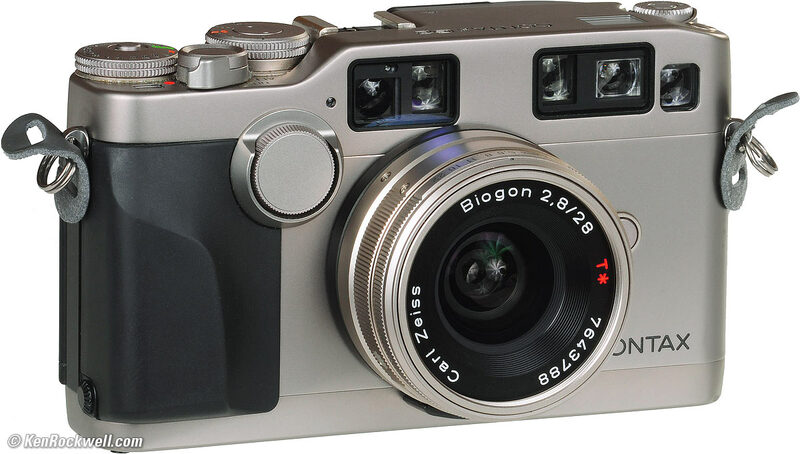 A true design classic, it's what he XA series evolved into, about as small as 35mm cameras get, the clamshell is genius. Konica big Mini. There are a couple of versions. Whatever, the lens is amazing, check the ribbon cable on the back door for splitting, it was prone to this as a fault, all but un-fixable. A recommendation? Robert Frank used one in later years. I'm sure I'll think of more, but these have been standouts, always bought for under £20.00, often less than £5.00. >Thank you very much Brandon for this contribute. Really interesting. What do you think about film point & shot cameras?